Yesterday, Amazon was faced with a prime example of what can happen when you have big plans that seem to guarantee success – but fail. What we are likely witnessing now is a situation in which Amazon’s spectacular run winning streak might now well be beyond its prime years. (I love my subtle humour). Invincibility and hubris are dangerous attitudes to carry around. You might think that you are on top of the world; that nothing bad can happen; that everything will be perfect; and then, it can all come crashing down in an instant. Often, with spectacular results. Organizations and the people within them can easily develop an attitude of invincibility when things are great. Success after success develops a culture of complacency, and inevitably, failure results when least expected. Often, this culture develops at the top, and permeates throughout the organization. An attitude of invincibility at the leadership level is often the biggest challenge that an organization can face, because it’s easy for someone at the top to think that everything is guaranteed. That nothing will topple them. That all the support which has carried them forward so far will continue on, untouched. 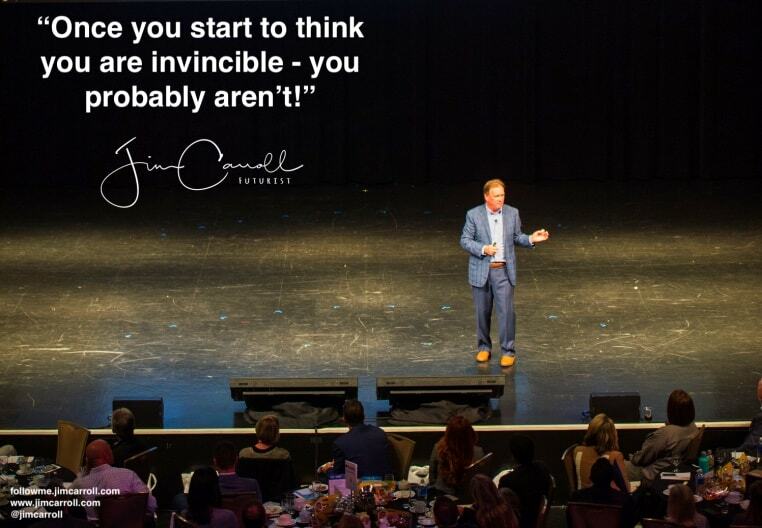 From a personal perspective, feelings of being invincible are dangerous, and can wreak havoc on your overall goals and mindset. Watch for it, be wary of it, and always be on your guard. Nothing is ever guaranteed. As soon as you see dangerous levels of invincibility at hand, you know that the laws of unforeseen consequences can start to bear fruit!